Pre-war Sfax during the protectorate. 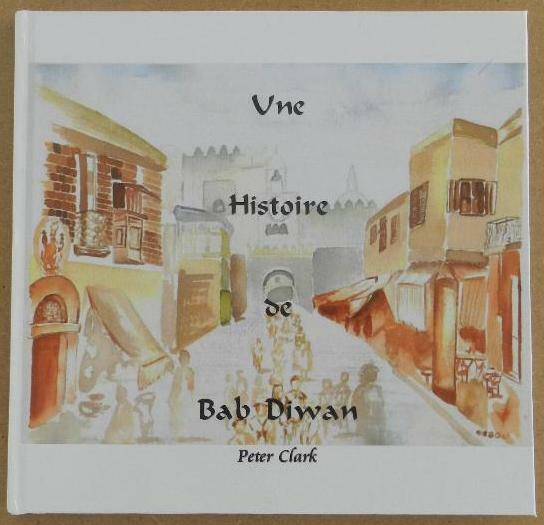 The city was still growing, and the Ville Franque is located on the south side of the Medina, between the Bourj al Resace and the Bourj An Nar. 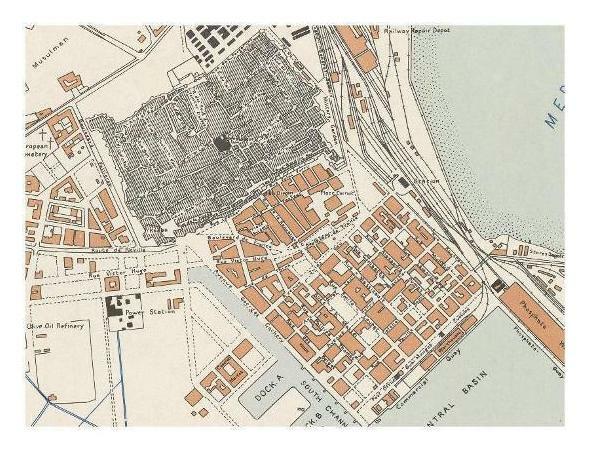 During the 1920s and 30s the port was extended to the south, and the upper arm of the Porte du Peche was filled in. After the wartime Allied bombardments much of the city, and almost the whole of the Ville Franque was destroyed. Photographs from this period show empty city blocks, which gradually are rebuilt in the new styles of the 1950s. These photos (and one or two satellite pictures) show how the city has developed since independence. The fishing port has become the 'Corniche' since the new fish port was built, and the railway is now routed alongside the port. The buildings along Hedi Chaker are complete, with the new theatre being almost the last one to be constructed there. View thumbnails of all aerial pictures here.